whocanihire.com: The Alternative To 50 Cent Stamps? The Alternative To 50 Cent Stamps? Businesses spend $17 billion dollars alone to send advertising mail of which an estimated 44% goes unread. If you are a small business or service marketing through the U.S. 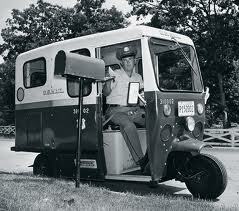 Postal Service, the time is now to strongly consider social media for your promotion and customer retention. In the week that the Obama administration asked Congress to consider other metals to produce the nickel, which cost 11.2 cents each, the U.S. Postal Service is looking to increase the price of a first class stamp from 45 to 50 cents a stamp in an effort to stop bleeding red ink after a recorded loss of $3.3 billion in the final three months of 2011. Additionally the Postal Service expects that by 2015 it will be looking at a $18 billion dollar loss without significant changes. In fairness, the Postal Service has been working on plans to reform their business since 1976 when it predicted that electronic media would decrease physical mail delivery...the rise of the fax machine! Do you know what the National Association of Letter Carriers uses to economically reach out to it's members? Yep, social media sites like facebook, youtube, twitter and flickr. This is not a slam upon the Postal Service, but as a small business with a limited marketing budget and declining returns, isn't it time to embrace the new medium? whocanihire.com puts your business right in front of your market using social media at little or no cost. Businesses and professionals can create a unique profile up to five pages with company logo, links to current website and up to 17 social media channels like facebook, yelp, twitter and LinkedIn giving you the ability to interact with your customer base in real time. This is real, the times have changed for the Postal Service and traditional marketing for businesses and their services has changed with it. Watch the video to learn more.